Hi, I’m Quinn, a snugly, sensitive and, silly, svelte, speedy and altogether sensational young man. I love to play with squeaky toys, get belly rubs, go on walks, run fast, play and play and then take a nice nap with my foster brother and sister. Oh, and I’m a bit a health food nut. I think carrots are sooo delicious, I’ll eat as many as I can! 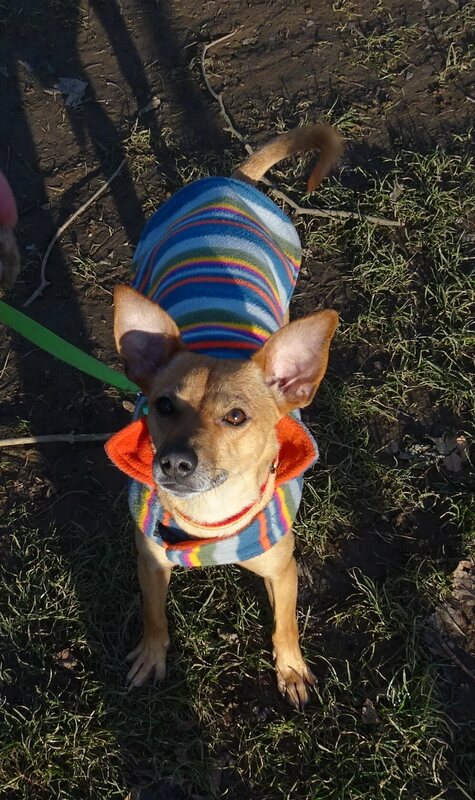 I am looking for my forever family: gentle, fun loving and snugly folks like me: could that be you?! Because I love to run, I’m looking for a home that has a yard I can run in. A quieter owned home without too much action would best suit my sensitive nature, and gentle kids over 14 are fine. I would just love to have one or even two canine brothers or sisters, especially if they are playful like me, or even if they just like to snuggle and nap together. They help me feel confident and happy. Oh, and I am nice to cats too! My foster mom says I’m going to steal your heart! 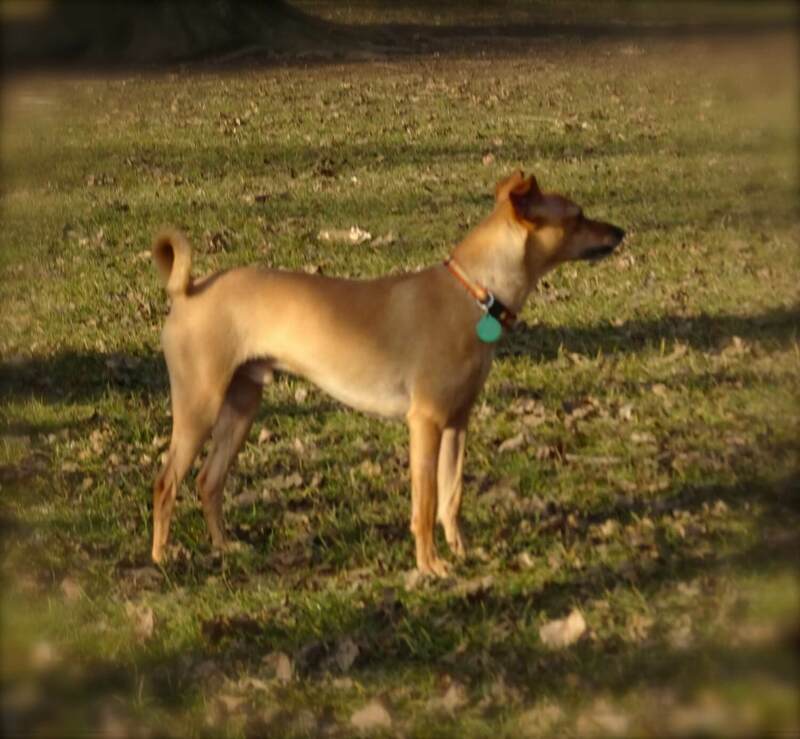 At 19 pounds, and naturally slender and fast, I might be part Italian Greyhound and Basenji. Who knows?! I’m an original, that’s for sure. And I’m a teenager, about a year old. I don’t bark, but sometimes, when I am excited or a little nervous, I kind of sing a little tune. I like to think I’m a bit more Enya than Bob Dylan. I also like to walk around on my back legs, because, well, because I can. So, let’s meet! We won’t even need cupid to fall in love, but we do need to start making plans for Valentine’s Day together. Fill out an application today, so we can set up a meet. I come to you neutered, vaccinated, and micro-chipped with an adoption fee of $300.